Daily Frontline is an Urdu Newspaper of Sindh publishing daily from Karachi. Daily Frontline is ABC certified by Government of Pakistan. Daily Frontline is projecting Trade and Economic Policies and Social issues as well as Politics, covering Mega Events in the Country since last 09 years with success, remarkable achievements are appreciated also on its credit. Daily Frontline is constantly and continuously been bringing up and highlighting the issues and problem relating to the business community & common class. Editor in chief of Daily Frontline is Muhammad Abdul Salam Khan. It has 8 pages you can purchase it by spending 10 PKR. For Those Who Want to Read Daily Frontline Karachi Newspaper they can Visit its Official Website: www.frontline-news.pk. At The Website You Will Find Daily Frontline Karachi old Newspaper Too. 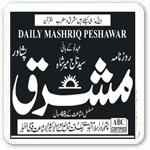 You Are Visiting Daily Frontline Page of Epaper.PkNewspapers.com.